In all the hype that is encompassing the football crazed lot these days, there has been a development affecting the live streaming of World Cup matches over websites. Multi Screen Media (MSM), a company that operates channel Sony Six has acquired exclusive television, radio, mobile and broadband internet transmission rights with respect to the FIFA World Cup 2014 for the territories of Bangladesh, Bhutan, India, Maldives, Nepal, Pakistan and Sri Lanka. MSM in June, 2014 filed a suit for infringement of copyright before the Delhi High Court alleging over 472 “rouge website” infringing MSM broadcasting right by live streaming pirated content of FIFA World Cup. The high court, vide ex parte order dated June 23, 2014, restrained 472 websites “from in any manner hosting, streaming, broadcasting, rebroadcasting, retransmitting, exhibiting, making available for viewing and downloading, providing access to and/or communicating to the public, displaying, uploading, modifying, publishing, updating and/or sharing (including to its subscribers and users), through the internet, in any manner whatsoever,…in relation to the 2014 FIFA World Cup matches and content related to it”. Based on the replies filed by the ISPs including Bharti Airtel Limited and Reliance Communications Limited, on July 1, 2014 the Court modified its earlier Order and reduced the number of “rouge websites” from 472 to 219. The new list of 219 “rogue” websites, does not include Google Docs, which was mentioned in the earlier list. 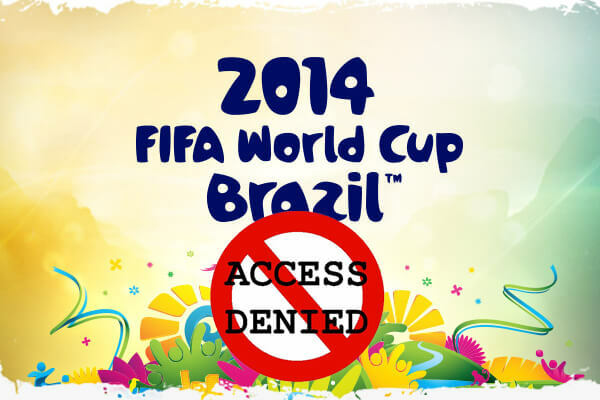 One of the effect of the Order is that ISPs have blocked many of these alleged “rouge websites” in its entirety making all contents inaccessible whereas the Order of the Court was only related to the restraint of “pirated contents” related to FIFA World Cup. This situation moots question to the effect that whether the action taken by the ISPs are proportionate to the alleged infringement and whether the ISPs have technologies to block selective contents from a website, which form the subject matter of the restrain Orders.” We are watching whether these issues are raised before the Court in this case and the evolving legal position on this.